Starting off with an old acquaintance, number 078564248 from New Zealand ranks on our first place this week. Making its first appearance on the list in July this year, the number is still one of the most wanted with calls originating from Hamilton. Based on the experiences of our users, the caller makes incessant silent calls that are pereceived as harassment. one of those annoying computer-generated spam phone calls, what a pain! PLEASE STOP CALLING ME !!!! Unknown caller who left no message on voicemail. so who are you?? With calls originating from the Australian capital Sydney, the number 0296123591 ranks on fourth place. 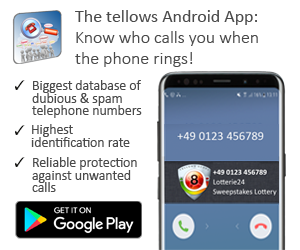 Although most users question the authenticity of the number, some report that they have been receiving telemarketing calls while other complained about consistent prank calls. In order to avoid unwanted telemarketing calls, be careful who you provide personal information with and what terms you agree to when filling out forms even when using seemingly trustworthy services. Sometimes you unwittingly subscribe to unwanted telemarketing services or other forms of spam calls. 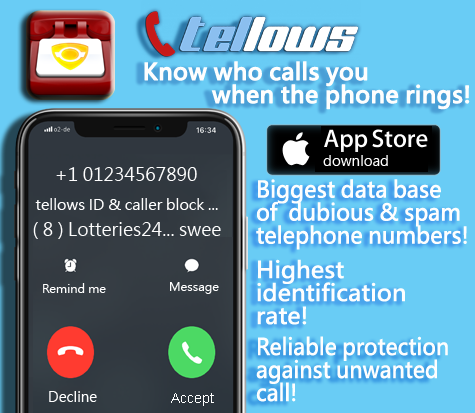 If you have been receiving telephone spam calls, you are more than welcome to share your knowledge with our tellows community to warn others. Other than that, have a lovely and hopefully spam-free weekend. This entry was posted in Weekly Top 3 Spam and tagged annoying, Australia, New Zealand, nuisance calls, phone number, spam, statistics, Tellows, Tellows score, top 5, weekly update on Friday September 20th, 2013 by Luise. Nowadays, we can say that nuisance callers do not just exist in Australia because countless of people in America are experiencing these annoying callers. This is the reason why we need to be aware on how to defeat them with the help of the best service provider.